A Winner of Leicestershire's "Best Visitor Attraction"
Follow the fun Quiz Trail, and find and collect clues as you wander through 8 acres of living maize crop. The giant 8 acre maize maze includes high level bridges and viewing towers giving stunning views across the beautiful countryside. There is also an Activity Funyard with games and mini mazes for all ages. 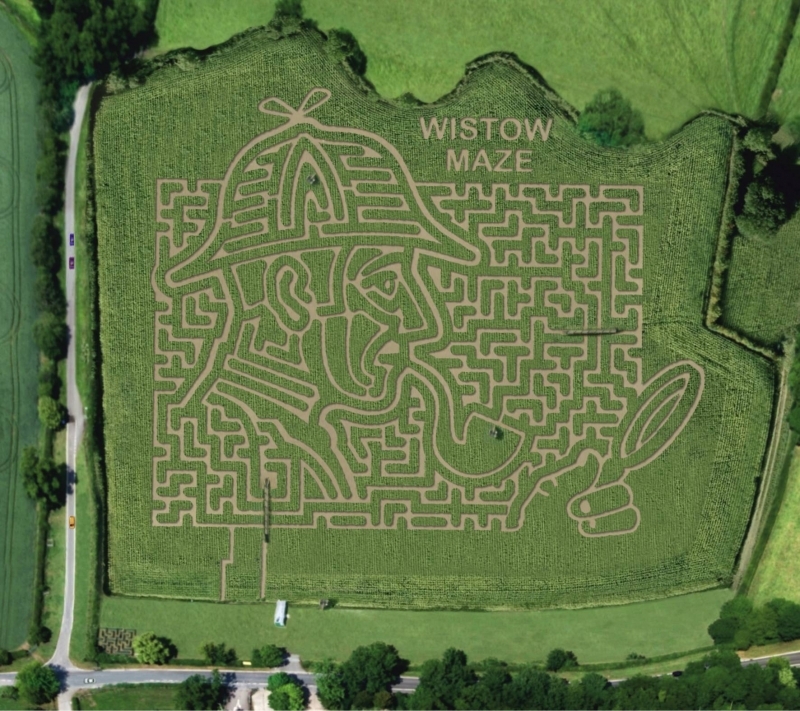 For 2017 the maze is designed in the shape of "Sherlock Holmes" to mark 130 years since the first novel was written. Go to the Maze pages on this website to find out more. Across the road is the Wistow Rural Centre with a cafe/bistro, garden centre, model village, art gallery and numerous shops.